Each year, the Heights Observer urges residents to support local businesses, and think of them when shopping—especially during the holidays. For many of them, purchases made at the end of the year make the difference between turning a profit or operating at a loss. Here, we've listed a few last-minute gift ideas, to provide inspiration as you search for the perfect gift—hopefully right here in the Heights. Find something for everyone on your list at the many independent merchants in the Heights. Most will gift wrap or ship your items, too. Here are some of our favorites. Cleveland Cinemas Gift Card. 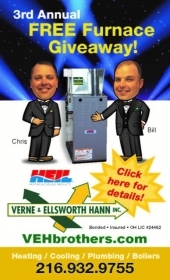 Can be used for admission or concessions at any of our locations, including the Cedar Lee Theatre. Available for purchase at the box office or online at clevelandcinemas.com ($10.00 and up, Cleveland Cinemas). Find something for everyone on your list at the many independent merchants in the Heights. Most will gift wrap or ship your items, too. Volunteer sign-up is open for the 6th Annual Heights Music Hop, which runs Sept. 13-15 in the Coventry Village, Cedar-Fairmount and Cedar-Lee business districts. Jill Barr’s smile was legendary. Spreading from her mouth to her eyes, that smile was quick to be offered to anyone who needed it. Her gentle kindness, her bottomless well of generosity, marked a life that was much too short. The University Heights mother of three died from complications of pneumonia in early March, at the age of 47. But Barr’s legacy lives on in the community that she touched with her grace, selflessness and authenticity. From her work as special projects coordinator at Cleveland Heights’ Church of the Saviour (CoTS), to her fierce advocacy of CH-UH public schools, to her role as honorary mother (and chauffeur) to countless people’s children, Barr “did the work of five people, at least,” said Sears. Peace Lutheran Church, the consolidation of Hope Lutheran and Bethlehem Lutheran churches, is planning two fall events—Permaculture Day on Saturday, Nov. 4, and Novemberfest on Saturday, Nov. 11. The church's garden committee is offering a free half-day permaculture session on Nov. 4, led by Tom Gibson, a local expert in sustainable and self-sufficient agricultural ecosystems. The committee plans to use the principles of permaculture to lay out planting beds for the church’s new memorial garden. The class starts at 9:30 a.m. Coffee and other beverages will be provided. He switches back and forth between present and past tense when discussing his 15-year-old daughter, who died on Aug. 17. While her physical self is gone, her presence is very much alive for those who loved her, including her father, her mother, Jessica Klein, and her 12-year-old brother, Nathaniel. Imagine if the Indians won the World Series and, as part of their prize, they got to make all of the league rules for the next 10 years. They could have all home games, pick the umpires, and make future rules impossible to undo. Such a prize could eventually destroy the sport. This is the outcome of political gerrymandering. Gerrymandered districts are drawn to favor one political party over another. Voters that disagree with the party in charge are either packed into as few districts as possible or spread out to dilute their voting power. In this way, politicians can pick their voters and create “safe seats” for themselves. The practice began in 1812 when Massachusetts Governor Elbridge Gerry approved a congressional map that heavily favored his political party. Today, software that can predict voting patterns down to the household has made gerrymandering extremely powerful. Many political analysts believe that “safe seat” districts contribute to the polarization and the dysfunctional gridlock in Washington today. Imagine this: Your father was killed by rebels in front of your eyes, and you fled war with your mother and seven siblings. You have lived in a refugee camp in a foreign country since you were a toddler. Your mother could not afford to send you to school, and each day you prayed that your family would have enough to eat. Finally, at age 20, you—along with your now elderly mother and 18-year-old sister—are resettled in Cleveland Heights, Ohio. This is the reality of one young refugee who is making a home in our community. For the past six years, Carla Bailey, the district's refugee school-community liaison, has helped refugees like this young man understand our educational system and figure out the quickest, most efficient way to learn English, complete high school, and move onto the next phase of education and life. Alicia Marotta Linihan, co-owner of Marotta’s, the popular Lee Road restaurant, died on Dec. 5. She was 43 and the mother of four children: Maggie, 10; Libby, 9; Brendan, 7; and Mary, 5. A funeral mass was held on Dec. 9 at St. Dominic Church in Shaker Heights, and she was interred at Lake View Cemetery. Marotta Linihan owned Marotta’s with her husband, Brian Linihan. The two met in the early 1990s, while working at Salvatore’s, in Cleveland’s Little Italy, and married in August of 2002. The couple traveled to Italy every year to work on their cooking skills. The Linihans opened Marotta’s in the fall of 2000, naming the restaurant after Alicia’s father, who had died in 1999. Marotta Linihan grew up in Cleveland Heights, and became interested in cooking at an early age. In the Nov. 8 election, voters passed the 5.5 mill CH-UH City School District tax levy, Issue 109, by a margin of 2,162 votes, with 53.9 percent of voters (14,932) voting for the levy, and 46.1 percent (12,770) voting against it. Cleveland Heights voters also passed Issues 51 and 52—amendments to the Cleveland Heights City Charter—related to deadlines for Cleveland Heights City Council candidates. 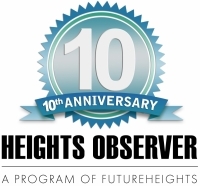 Beginning on Jan. 1, Cleveland Heights households and businesses, along with about 700 University Heights households, will become direct service customers of Cleveland Water. For 101 years, Cleveland Heights was a master meter community, purchasing water from Cleveland and reselling it at a marked-up rate. Water was a source of revenue for the city until recently, when infrastructure deterioration caused the Cleveland Heights Water Department to operate at increasing losses. On April 20, the Ohio Arts Council (OAC) honored eight Heights artists with its 2016 Individual Excellence Award. The awards, given to 75 Ohio artists chosen from 392 applicants, recognize artists for the exceptional merit of a body of their work that advances or exemplifies the discipline and the larger artistic community, and provide support to the artists' growth and development, recognizing their work in the state and beyond. The artists were judged via an open-panel review by other professional artists, and on the merit of completed works. 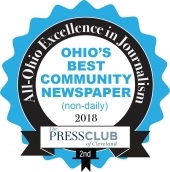 Each winner received a $5,000 grant for “quality arts experiences that strengthen Ohio artistically, educationally and culturally,” according to OAC's May 3 press release which announced the winners. Awards are made in six categories: choreography, criticism, fiction/nonfiction, music composition, playwriting and poetry. A memorial celebration honoring the life of Alan Freed, the Cleveland disc jockey who coined the term “rock 'n' roll” and who put on the nation’s first rock concert, will take place at Lake View Cemetery on Saturday, May 7, at 1 p.m. Freed died in 1965 at the age of 43, and his ashes will be interred at Lake View on the day of the ceremony. The public is invited to attend the event. Steven Van Zandt of Bruce Springsteen’s E Street Band will deliver the keynote address at the ceremony. The Drifters, a soul group that scored such hits as “Money Honey,” “Such a Night,” “Some Kind of Wonderful” and “Under the Boardwalk,” will perform at the ceremony. In addition, Little Anthony, of Little Anthony and the Imperials, is expected to perform, as is Jimmy Clanton, a rock singer from the 1960's. Famous disc jockey and rock historian Norm N. Nite will serve as the emcee at the event. Freed came to fame in the early 1950s, when he was a DJ for WJW radio in Cleveland. In 1952, he produced the first Moondog Coronation Ball at the Cleveland Arena. That show is widely regarded as the very first rock 'n' roll concert. I first met Ronald Balas (Dec. 9, 1930 to Feb. 13, 2016) in September 1966 at the Cleveland Heights YMCA on Lee Road. He was teaching martial arts classes. I was 5 years old. This meeting was the beginning of a 49-year relationship. Ron has been a constant presence in my life for the past half-century. For thousands, he was the founder and Grandmaster of Tai Shin Doh Karate. He traveled the world to teach this art form and is widely known and respected for this achievement. But he was so much more—a father, husband, brother, grandfather, and a friend to all. Ron had a gift. He would make you believe that you were the most important person in the world. He shared this gift with countless people who came to him. If you're interested in acquiring any of the furniture or equipment from the former clubhouse of Oakwood Country Club, this is your chance. Greenwald Antiques has been contracted to liquidate the contents of the building, according to Robin Greenwald-Gilbert, co-owner of the business. The sale will take place from 10 a.m. to 6 p.m., Wednesday, April 6, through Friday, April 8, at the former Oakwood Club, 1516 Warrensville Center Road. The building and grounds are now owned by Hebrew Academy, which plans to convert the clubhouse into a boys’ high school and administrative offices. Proceeds from the sale will benefit the capital campaign for the construction project, according to information from Greenwald Antiques. Cleveland Heights native Joe Mendes has left his teaching job in the Cleveland Heights-University Heights City School District to realize a lifelong dream to run a summer camp. He is the new owner of Camp Firebird-Roosevelt on Leesville Lake, 90 miles south of here. Many Heights residents have fond memories of the overnight camp, which for years has hosted a steady stream of children from the area. But Mendes will have his work cut out for him—attendance has dwindled in the past decade under the previous management. Mendes is undaunted. “That’s why I was able to afford to buy it,” he said, adding that he’s been able to assemble a team of expert advisors to guide him. The deal was struck quickly. Mendes learned on Sept. 9 that the camp was for sale, after the unexpected death of owner Andrew Schwartz—who turned out to be a childhood friend of Mendes from their own shared camp experience in northern Wisconsin. The transaction was done by early November. Sterling Silver Star of David. ($110.00, Antrobus Designs). The Heights Music Hop returns for its third annual festival this Saturday, Sept. 19. Join the fun as festivalgoers pack the sidewalks, restaurants, bars and shops of the Cedar Lee Business District for this live music event. More than 18 venues along Lee Road in Cleveland Heights will host live music of varying genres, including rock, folk, jazz, hip-hop, classical, funk, and just about everything in between. The Heights Music Hop is free and open to all. A ticketed after-party, ages 18 and older, will take place at 11 p.m. at The BottleHouse Brewery, featuring the music of popular local group, The Admirables. After-party tickets are $5 and can be purchased at the door. Lee Road merchants are gearing up for the 3rd Annual Heights Music Hop, Saturday, Sept. 19, by offering food and drink specials for music lovers who populate neighborhood restaurants, bars and shops. Organizers expect the street to be flush with attendees for this year's free music festival. More than 2,000 hop-goers attended last year's event. A recently concluded study highlights the potential for a network of bicycle and pedestrian facilities linking the City of Cleveland’s east side with 19 other municipalities, including Cleveland Heights and University Heights and all of their neighboring cities. The Eastside Greenway, as the proposed network is known, would increase connectivity in eastern Cuyahoga County and enable greater access to active transportation and recreation. The study’s soon-to-be-released final report will include infrastructure recommendations tailored to major routes and amenities, and a strategy for design and implementation. Cleveland Heights-based Loving Hands Yoga and Reiki is planning events for the Cleveland leg of a national tour for a group of Tibetan Buddhist monks. The events will be held throughout the Cleveland area Sept. 21–26. Presentations are non-religious, and are suitable for people of all faiths and traditions. Judith Eugene, a Cleveland Heights native and the founder of Loving Hands Yoga and Reiki, is seeking businesses, schools, churches and other organizations that are interested in holding events at their facility. Eugene organized a similar tour last fall. The events were well attended, and most sold out. Events include lectures, debates, healing rituals, and empowerment ceremonies. School programs for grades K–12 include discussions, chanting demonstrations and performance of traditional Tibetan instruments. The monks are also available to create beautiful works of art including sand mandalas, butter sculptures and calligraphy. They also perform blessings of homes, businesses, and public buildings. There are suggested donations for each event, but no one is turned away for inability to pay. All donations are tax-deductible. An "End of Watch" ceremony in memory of Cleveland Heights Police Officer Thomas F. Patton II, who died in the line of duty five years ago, will be held at 7:30 p.m. this Friday, March 13, at the Police Memorial near the front door of Cleveland Heights City Hall. The ceremony will last about 20 minutes and is open to the public. It is being held by the Citizen Police Academy Alumni Association in conjunction with the CHPD. Patton suffered a fatal heart attack while chasing an assault suspect on March 13, 2010 in the area of Coventry and Mayfield roads. He had been a member of the force for nine years. Capt. Edward B. Connolly, shot while responding to a burglary; died Sept. 8, 1920. Patrolman Norman C. Reker, shot while responding to a robbery; died Feb. 21, 1948. Officer Jason West, shot while responding to a disturbance; died May 26, 2007. As part of its public service mission to the community and the police department, the newly formed Citizen Police Academy Alumni Association has begun organizing End of Watch ceremonies on the anniversary of each fallen officer's death. The first such ceremony was held last month in Reker's memory. For three hours on Saturday, July 19, it was hard just to get in the door at The Tavern Company—the Lee Road pub that Jim Brennan managed before buying the Colony in 1991. Now owned by Chris Armington, himself a 12-year Brennan employee, The Tavern Company served that night as the location where people could pick up pre-ordered “We Are A Colony” T-shirts and gather yet again to remember Jim "JB" Brennan, who was shot to death in his business across the street on June 30. When life doesn’t go as planned, the Heights Family to Family Collaborative is there to help. Founded in 2006, it is one of 14 partnerships funded by Cuyahoga County to provide families emergency assistance, prevent family disruption, and minimize family involvement with child protective services. The Heights Collaborative, housed at the Centers for Families and Children at 1941 South Taylor Road in Cleveland Heights, mobilizes community-based resources to support families where they live. It works with families who reside in Cleveland Heights, University Heights, Beachwood, Hunting Valley, Moreland Hills, Orange, Pepper Pike, Shaker Heights, Woodmere Village and the University Circle area. The Cleveland Heights-University Heights City School district has canceled all of its afterschool and evening activities for Wednesday, March 12, due to severe weather conditions. All field trips and meetings are also canceled. Aftercare will remain open in all school buildings. Reaching Heights has postponed the 23rd annual Adult Spelling Bee, which was scheduled to take place this evening at Heights High. A new date has not yet been set. The Cleveland Heights Planning Commission meeting scheduled for 7 p.m. at Cleveland Heights City Hall will take place as planned. February is Black History Month and, for the third consecutive year, members of Forest Hill Church, Presbyterian, at 3031 Monticello Blvd. in Cleveland Heights, have organized events for each weekend of the month that they say are designed to “educate ourselves, strengthen our ties with one another and stir our souls.” All events are open to the public. On Sunday, Feb. 2, from 12:30–2 p.m., the PBS documentary “The World of Hip-Hop” will be shown. Following the screening, Nobles C. Darby IV, youth pastor at New Spirit Revival Center, will lead a discussion of the film and the issues it raises. A light lunch will be provided. "I'm sure all of my runs through the Heights and my strengthening at Bikram Yoga Cleveland [in Shaker Heights] prepared me for that day," Goodman said. He was recovering in his hotel room when something shook the building. "At first I thought it was fireworks," he recalled. "Then I saw black smoke coming up over the library building." Goodman called some loved ones to find out if they knew what was going on, then he went outside of the hotel and toward the finish line. Cleveland Heights resident and Ashland University faculty member Fabio Polanco is the recipient of the university’s 2013 Taylor Excellence in Teaching Award. The award, first presented in 1997, was endowed by the late Edward and Louaine Taylor to support high quality teaching at the university. Church of the Saviour welcomes Melissa Wargo-Geesen as she teaches the art of making Ukrainian Easter eggs in a hands-on workshop on Saturday, March 16. A pysanka is a Ukrainian Easter egg decorated with traditional folk designs, which might include crosses, netting or animals. Traditionally, all symbols and color choices have meaning. This unique art form uses a hollowed-out egg which is decorated using a wax-resist (batik) method. Cleveland Heights residents and some University Heights residents are accustomed to seeing a charge from the Northeast Ohio Regional Sewer District for wastewater treatment on the quarterly water bills they receive from the City of Cleveland Heights. For these residents wastewater treatment will continue to be billed in this manner, but beginning this year they will also receive a separate quarterly bill directly from the Northeast Ohio Regional Sewer District Wastewater for the new Regional Stormwater Management Program. The first bills will cover the four-month period ending January 16. Patrons of Cumberland Pool have been greeted this summer with a new sight—a thriving vegetable garden. Formerly a rose garden and, in more recent summers, an empty patch of mulch, the new vegetable garden runs along the fence on the south side of the pool, between the parking lot and the pool deck. The garden was planted and is tended by the first-ever Cumberland Gardening Team, consisting of 15 children working with four or five adults every Monday morning. The children, who are involved in swimming or diving classes at Cumberland, were interested in improving the sunny enclosure near the pool. Cleveland Heights resident Annemarie Grassi has been chosen as the 2012–13 president-elect of the Junior League of Cleveland (JLC). JLC is celebrating its centennial anniversary this year. According to its mission statement, JLC is an organization of women volunteers dedicated to community change. Its members show creativity and diversity while promoting voluntarism. Grassi has been with Open Doors Academy for 10 years and resides in Cleveland Heights. She has been a member of the JLC for eight years and served as co-chair of the Girls Make Great Leaders Initiative and Girl Culture Initiative. She also served on the board of directors as training director for one year and membership director for two years. An ethnic culinary contest will highlight the first-ever Heights Culinary Heritage Show on June 24, hosted by Council Gardens, 2501 North Taylor Road in Cleveland Heights. The free, festive gathering for adults in the community is supported by a grant from Cuyahoga Arts & Culture. Could you have guessed that there are nearly 75,000 farms in the state of Ohio, or that less than 1 percent of your food supply is produced in Northeast Ohio? Seems incredible, doesn’t it? That’s what Fresh Fork Market founder Trevor Clatterbuck thought in 2008. Women have been in the news lately—and to many people, that’s not a good thing. In a recent report, “The Changing Face of Poverty in Northeast Ohio,” the Center on Urban Poverty and Community Development at Case Western Reserve University (povertycenter.cwru.edu) reported that the number of people living in poverty has markedly increased over the past decade. Inner-ring suburbs, including Cleveland Heights, are among the most affected. The report cites unemployment, lower wages, and increased living costs as some of the reasons. Another factor is the abandonment of some areas by wealthier citizens who are then replaced by poorer ones, or not replaced at all. The Ohio Supreme Court today granted a writ of mandamus allowing the placement of the referendum of the rezoning of the former Oakwood Club property on the November ballot in South Euclid. A moment before zip lining over the Zambezi River from Zambia to Zimbabwe, Annalena Weissman, an 8th grader at Ruffing Montessori School, pauses to catch up on the news back home. Photo by Claudia Weissman. Loren Franklin Weiss, Cleveland Heights poet laureate from 2006 to 2007, died on June 15. My favorite memory of Loren is watching him, caught in a summer downpour, run all the way from the Heights Arts office next to the Cedar Lee Theatre to his car at the far edge of the parking lot. He was 80 years old at the time. A large bird is the first to greet those who pull into the Barons’ driveway. He is not there to fight squirrels for the seeds in the birdfeeders scattered around the yard; his job is to play host. His head and neck are made from a black rod that extends through his yellow-wheel torso to form the base of the tail, which is covered with bright red fan blades. Groups of eight horseshoes, painted yellow and black, are welded together to form skeletal wings. The colorful metallic feathers stand out against the brown brick house behind it. The creature stands in a bed of ivy, balancing the burner from an oil furnace on his head. His hollow eyes are trained on the ground in front of him, as if waiting for a friend to pop out of the dark green sea. The recently released results of Census 2010 revealed population losses over the preceding 10 years in both Cleveland Heights and University Heights, as well as in every bordering community. Cleveland Heights’s population dropped 7.7 percent to 46,121. University Heights's was down 4.3 percent to 13,539. Both communities remain diverse by Greater Cleveland standards, and for the first time, no racial group is in a majority in the city of Cleveland Heights. The city’s African-American population dropped for the first time on record—a 6.2 percent drop to 19,587, or 42.5 percent of the total population. The white population fell 12.4 percent to 22,984, or 49.8 percent. Notice: the variable green- and red-lighted lane arrows on Cedar Hill were removed in 2003. Drivers are advised to use the extreme right lane when ascending or descending the hill until other drivers become accustomed to the change. Suggested alternatives are Mayfield Road, Edgehill Road, or North Park Boulevard and MLK Drive/Fairhill Road. Potholes have been reported on Mayfield Road, Edgehill Road, North Park Boulevard and MLK Drive/Fairhill Road. To avoid rough roads on the way to downtown, Heights-area drivers are advised to travel east on SR 87 to Richmond Road south and Chagrin Boulevard east, then follow I-271 south to I-480 west to I-80 west. At the I-90 merge, proceed east on I-90 to downtown Cleveland. No new paving is anticipated in urban areas until approximately two years after the conclusion of the Kasich administration. Leah Green, a 19-year-old Cleveland Heights resident who is studying in Israel for the year, was among those injured in a Jerusalem terrorist bombing that killed one person and injured at least 36 others. Here's more detail, in a story from the Cleveland Jewish News. In the dark ages, turning on the TV required patience, not money. You turned “on” the on/off knob, saw a little red light glow at the bottom of the wood cabinet. Then just waited for the vacuum tubes to warm up to see the picture and hear the sound. One payment for the TV and one payment for the antenna; it was free TV after that.